One of the most exciting excursions our volunteers do when volunteering in Guatemala is hiking Pacaya Volcano in Guatemala. 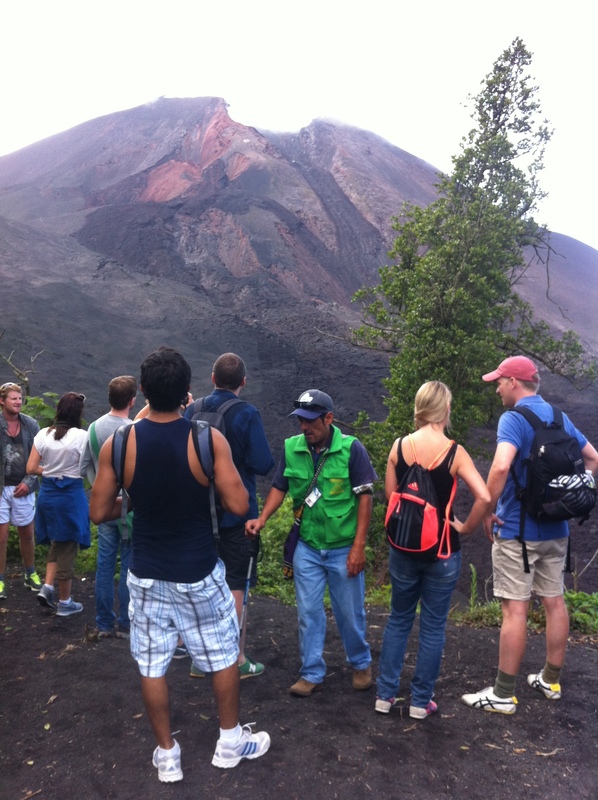 The entire Pacaya Volcano experience is a “half-day” excursion, usually lasting from 8am to 2pm door-to-door from the city of Antigua (where many of our volunteers live and work). Most people who volunteer in Guatemala get the chance to hike the volcano — whether they are building houses or volunteering at an orphanage. Hiking Pacaya Volcano is an incredibly rewarding experience but also very challenging physically. You essentially need to be fit enough to walk up a hill for 2-3 straight hours. You will sweat a lot but the air is windy and cool (especially at the top) so you’ll feel a bit clammy at times. Best to dress in layers. 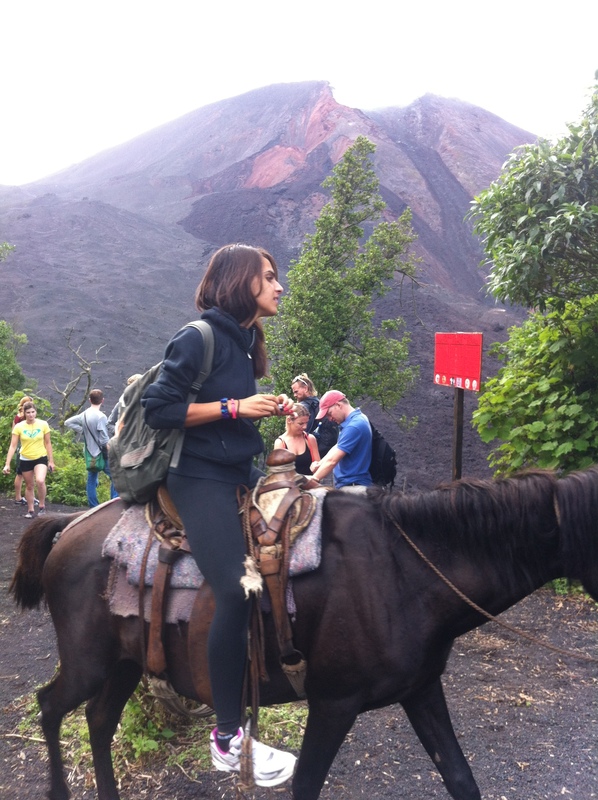 You can though hire a horse to take you up the volcano. It costs $20-$30 and there are horses and guides stationed throughout the hike. You can start out on foot to see how you feel, then hire a horse ride if you don’t feel up to hiking. Pacaya is an active volcano. Its last major eruption was very recent — in 2010, with ash columns up to 1,500 meters high and ash and volcanic debris raining down on Guatemala City and many surrounding small towns. You probably won’t see any rivers of lava on your hike. But at certain points you can see smoke rising from the ground and feel the lava’s heat on your feet. 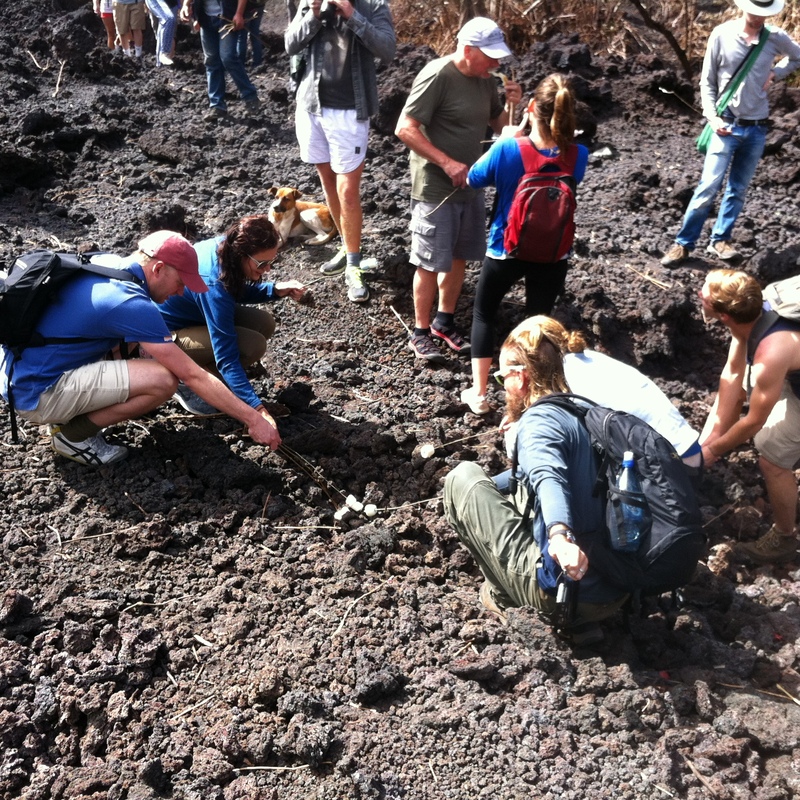 In fact at one stop on the hike, our guide gives out marshmallows that you roast using the heat rising from the earth. The volcano and surrounding area now lie within Pacaya National Park which was created to supervise and protect tourism in the region. The park generates its income from entrance fees from tour groups like ours. The views at the top of Pacaya Volcano are simply spectacular. The amazing views include the volcanoes Fuego, Acatenango, and Agua as well as Guatemala City, Antigua, and dozens of villages.